You’ll love our bright summer color home decor and homeware gifts this season. 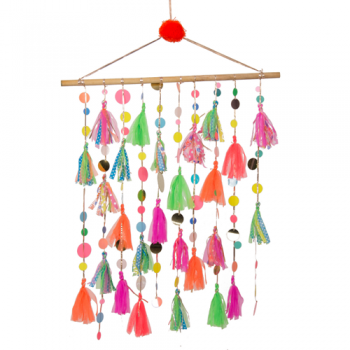 Bright oranges, pinks, greens and blues in wall hangings, curtains and garlands. Gorgeous touches of glitter, tassels and pom poms are beautiful decoration features. Home decor ideas and new season gifts to bring color to your home. 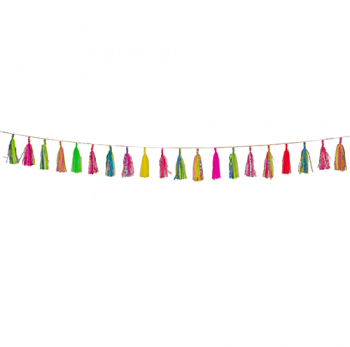 These colorful wall hangings are perfect for decorating a girl’s bedroom. Bright splashes of color will feature in a neutral decor or to compliment many colorful feature walls. Hang them across a window to enjoy beautiful lighting effects and to feature your unique wall hanging. 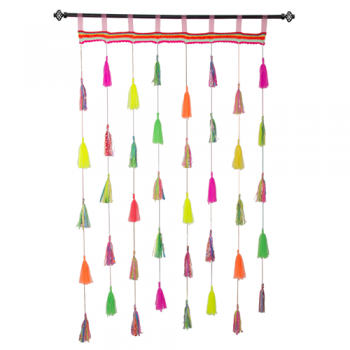 The tassel curtain can be hung over a doorway for a gorgeous feature and every girl’s wish for contemporary or bohemian styling as well as a privacy screen.